So. Bee venom. Where do you stand on that? As a skincare ingredient I mean. It supposedly has the royal seal of approval. Both the Duchesses of Cambridge and Cornwall are reported to be fans of bee venom, along with celebrities including Victoria Beckham and Kylie Minogue. Like snail filtrate, it’s a common ingredient in Korean skincare, but less well known in the West. How it works is that the bee venom tricks the skin into thinking it has been lightly stung with the toxin melittin. This makes the body direct blood towards the stung area, which stimulates the production of collagen and elastin. As we get older, our skin gets less able to produce these proteins by itself. 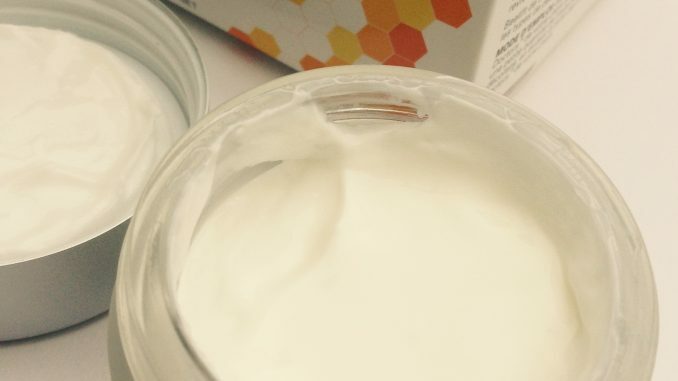 Therefore bee venom is an especially useful ingredient for ageing skin. 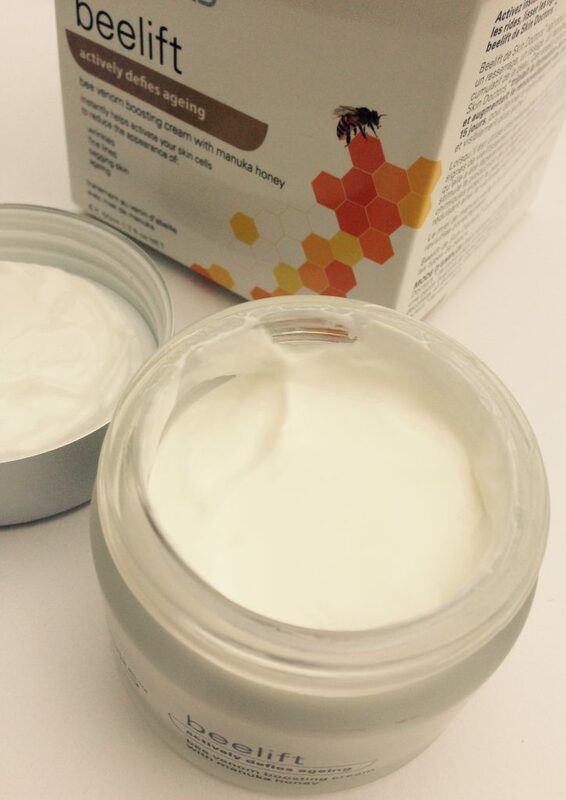 Today we’re looking at Beelift, a bee venom facial treatment made in Australia by cosmeceutical brand Skin Doctors. It’s recently been nominated as Best New Facial Treatment Product in The Beauty Awards 2016. Beelift is a paraben-free luxurious anti-wrinkle treatment cream that plumps and tightens skin. It’s not tested on animals and the venom is extracted without harming the bees. Usually what happens is that a pane of glass is placed alongside the beehive. A very weak electrical current is then run through it, encouraging the bees to sting the surface. Because only very tiny quantities of it can be extracted at a time, you generally only find bee venom in higher priced skincare. As well as the bee venom compound melittin, Beelift contains manuka honey, royal jelly, the collagen treatment Trylagen, and Hyadisine (a complex mix of peptides, amino acids, proteins and key enzymes). As it’s a treatment rather than a moisturiser, you apply straight after cleansing and before moisturising. It can be used all over the face, neck and upper chest, but not around the eyes. Obviously if you are allergic to bee stings then Beelift is not for you. The cream itself is white but disappears straight away into the skin. It has an absolutely delicious honey scent (almost like toffee or fudge) that hits as soon as you open the elegant glass jar. Honestly, the scent is something else. That’s worth an award by itself. Although the aim of bee venom is to trick the skin into thinking it has been stung, you don’t feel it at all. There’s no perceptible stinging sensation. It’s just like rubbing a nice fudgy-smelling cream on to your face. It sinks into the skin well and didn’t interfere with any skincare or make up I put on afterwards. Skin Doctors claim that Beelift can increase collagen by up to 300%. I definitely noticed some tightening and skin appearing plumper, though I don’t think it was a big enough change to be noticable to anyone else. Apparently this effect is cumulative over time, so I shall keep using it and hopefully be smooth as a baby’s bottom by Christmas. My only criticism of Beelift is over the jar packaging. There are some great ingredients in there, but since they get exposed to the air every time you open the jar, they will naturally lose effectiveness over time. You only need a small amount of the product per use, so I would rather see it in a smaller jar or (preferably) an airtight pump.